For April I’ve found lots of new rebates for the Philips Sonicare. The one from Kohl’s and Walmart expire on the 8th of April so better get on them. There’s also a manufactures rebate that is valid till December 2018 so you’ve got lot’s of time to use that one. Before we get started make sure you check out the coupons I’ve posted for April. As you might be able to stack them with the following rebates. For April there is a Manufacture Rebate that’s available till December 31st 2018. It will save you $20 off your purchase and get you an extra six month warranty on the electric toothbrush you purchased. 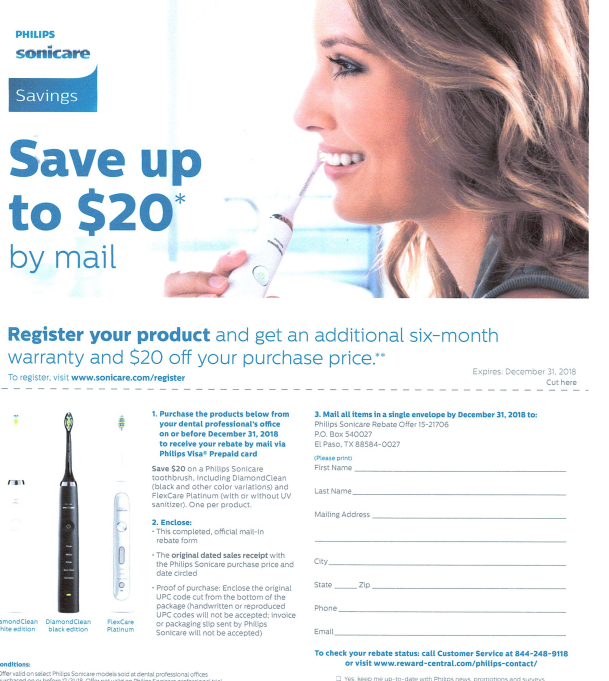 You can print this Sonicare Rebate Form off fill it out and send it in to the address listed on the rebate. I found this Walmart rebate this morning that will save you $10 off but it expires on the 8th of May.. Here’s a link to it if you have time to buy it tonight. That’s it so far but I’ll keep looking for more offers ! 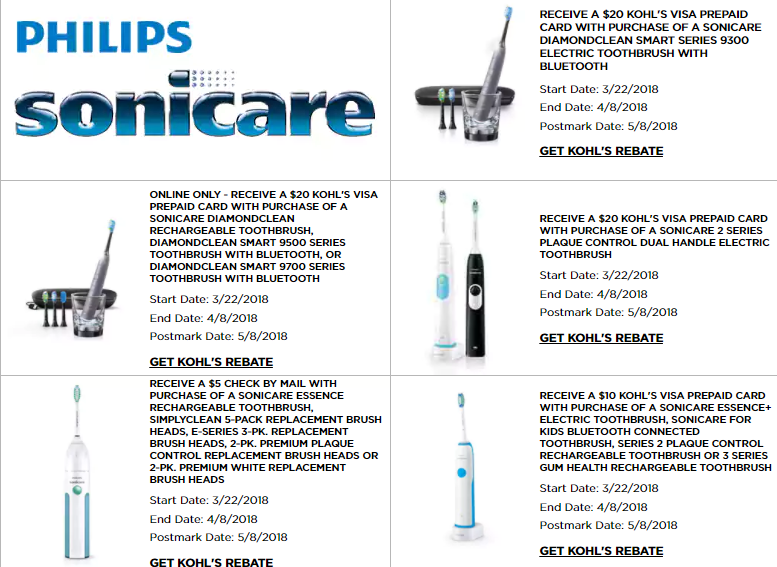 This entry was posted in Sonicare Rebate Forms and tagged 2018, Kohls, rebate, Sonicare.